Our fluffy down filled comforter is light and breathable. It prevents overheating and is an excellent choice for warmer climates and those who prefer to sleep cool. Soft, warm and gentle to the touch and feels great against my skin. You’ll soon appreciate how the sewn through box construction and Comfort Lock® border keep the fluffy down evenly distributed over you for a great night’s sleep. Navy blue cording outlines the perimeter. Securing your comforter inside a duvet cover is as easy as attaching the convenient duvet loops at each corner. 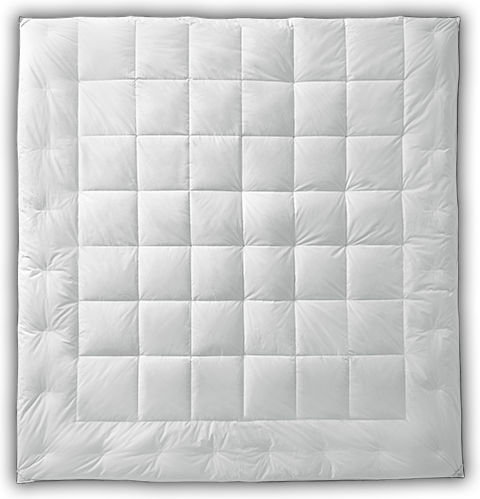 Our Light Weight Comforter is topped with durable 300 thread count, 100% cotton that’s kind to your skin.